Physicians are missing an important opportunity to treat overweight patients with antiobesity medications in order to reduce the odds of developing diabetes, according to results of a retrospective study published in the September issue of Obesity, the scientific journal of The Obesity Society. The number of prescriptions dispensed for subtype 2 sodium-glucose transport protein inhibitors (SGLT2s) was 15 times that of antiobesity medications -- nearly exponential growth compared with the linear increase seen in the adoption of new antiobesity pharmacotherapies. Almost 90% of people living with type 2 diabetes are overweight or obese. "Given the close tie between obesity and type 2 diabetes, treating obesity should be an obvious first step for healthcare providers to prevent and treat diabetes," the lead researcher, Catherine E. Thomas, MS, of Weill Cornell Medical College in New York City, said in a news release from the society. The majority of the study medications were prescribed by family medicine/general practice, internal medicine practitioners, and by endocrinologists, who make up just 0.8% of active physicians in the U.S.
About two-thirds of adults in the United States are overweight, and 46% fit the indications for antiobesity pharmacotherapy (body mass index ≥30 kg/m2 or ≥27 kg/m2 with hypertension, type 2 diabetes, or dyslipidemia) as an adjunct to diet and exercise, but only 2% of those receive treatment. 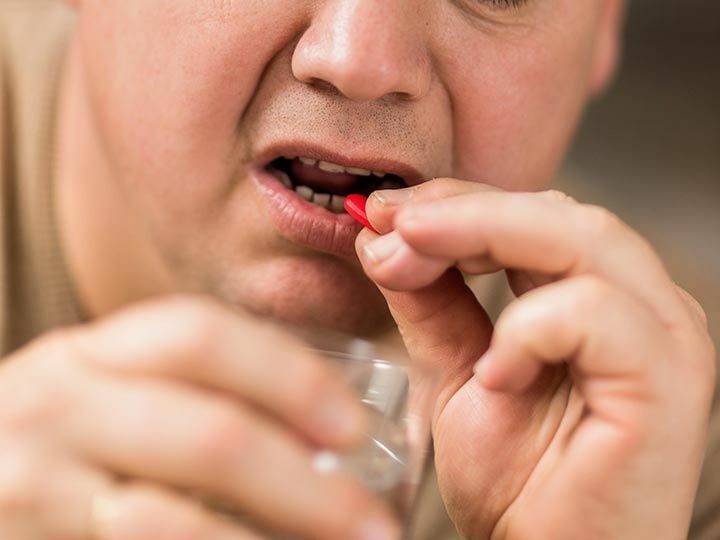 This is in sharp contrast to the 8.4% of adults in the U.S. diagnosed with diabetes, of whom 86% receive antidiabetes pharmacotherapy, the investigators noted. Topiramate+phentermine, lorcaserin, and naltrexone+bupropion are the first medications in 13 years to receive FDA approval for long-term management of obesity in adults. The retrospective analysis looked at early adoption rates of these new antiobesity pharmacotherapies and SGLT2s between 2012 and 2015, using IMS Health National Prescription Audit™ and Xponent™ data for almost 900,000 prescribers. Three separate univariate linear regressions were used to evaluate changes in mean monthly prescriptions for the new antiobesity pharmacotherapies, SGLT2s, and phentermine (FDA-approved for short-term treatment of obesity in 1959), respectively. Mean increases in prescriptions/month were: 25,259 for SGLT2s, 5,154 for new antiobesity pharmacotherapies, and 2,718 for phentermine. The proportions of all 900,000 physicians prescribing these therapies were 11%, 12%, and 19%, respectively. "The similar proportions of physicians prescribing both antiobesity pharmacotherapies and SGLT2s [which were introduced at around the same time] indicate that there is an awareness among prescribers of antiobesity pharmacotherapies and a comfort with using them," the researchers suggested. However, unlike the SGLT2s, the lack of insurance coverage makes the new antiobesity treatments far less affordable for most Americans. Affordability, along with familiarity, may also explain why phentermine, despite being approved only for up to 3 months of use, accounted for almost three-quarters of the antiobesity market share, while new long-term antiobesity pharmacotherapies accounted for 18.6%. As of August 2015, for each new prescription dispensed there were 5.4 continuing prescriptions dispensed for phentermine, 4.6 for SGLT2s, and 1.4 for new antiobesity pharmacotherapies. The disparity in dispensed prescription volumes and in the ratio of new prescriptions to continuing prescriptions between antiobesity drugs and SGLT2s indicates that there are barriers to antiobesity pharmacotherapy initiation and long-term adherence, the authors observed, pointing to the delayed recognition of obesity as a disease by leading public health and medical organizations. Other contributors included the relative lack of data supporting the efficacy or safety of the new antiobesity medications and the gap between expected and actual effectiveness of treatments, as well as physicians' lack of time, training, and/or reimbursement, and a low level of confidence in patients' motivation and the potential to treat and change behaviors. Indeed, discontinuation rates in clinical trials of the new antiobesity treatments range from 33% for phentermine to 46% with naltrexone+bupropion, due to noncompliance, patients lost to follow-up, lack of efficacy, and adverse events. Still, recent research suggests that antiobesity treatments are effective, producing weight loss relative to placebo ranging from approximately 3% of initial weight for orlistat and lorcaserin to 9% for top-dose (15/92 mg) phentermine/topiramate-ER at 1 year. The proportion of patients achieving clinically meaningful (≥5%) weight loss ranges from 37-47% for lorcaserin to 67-70% for top-dose phentermine/topiramate-ER. "The unmet need for better obesity care is considerable. Meeting that need will require more work to quantify the outcomes that current therapies can deliver in real-world settings and a deeper understanding of the most important barriers to their adoption," Ted Kyle, RPh, MBA, founder of ConscienHealth, wrote in an accompanying commentary.